Ever catch yourself counting down the days until your next paycheck? Maybe you decided to take out a store credit card for the 20%-off shopping day and the bill just came in. Or maybe your “check engine” light is on and you’re dreading the repair. Either way, that paycheck can’t come fast enough—and might not be enough. For 78% of Americans, living paycheck to paycheck is a way of life, an endless cycle of money going out almost as soon as it comes in. (1) Kind of like a revolving door you can’t exit, it keeps you from getting where you want to go. But it doesn’t have to be that way anymore. Here’s how you can escape for good. One of the reasons it’s hard to get ahead is because life likes to throw curveballs when you’re prepped to hit a fastball. You can have a budget for all the expected things coming that month, but that doesn’t mean you’re ready for the unexpected. You need $1,000 in a starter emergency fund so you can still get on base with your money instead of striking out every time life pitches you a surprise. We just mentioned that a budget is for all the expected things. It’s a tool that puts you in charge of your money, telling it where to go and what to do. Every. Single. Dollar. That’s why we named our budgeting tool EveryDollar, because when you use it, you give every dollar a job and start making your money work for you. A budget with all theory and no action is completely useless. It looks pretty and all, sitting there in your app, but it won’t help you if you aren’t sticking to it. 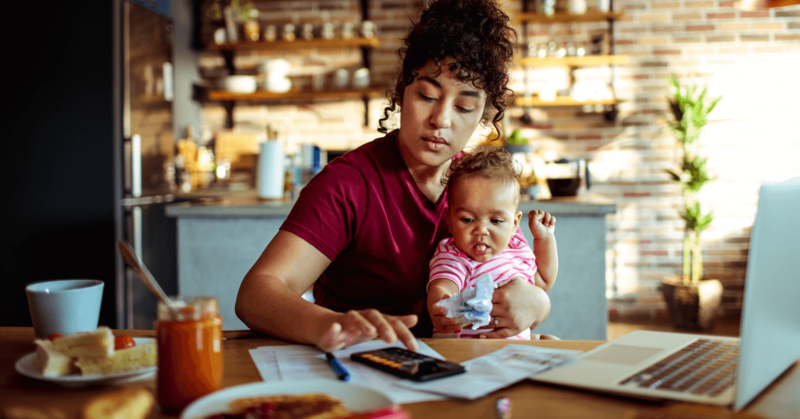 Whether you’re new to budgeting or could get called up to the budgeting major leagues at any moment, this stick-to-your-budget stuff can be challenging. But you’ve got this. We believe in you more than a kid believes that donkey with the cone on its head is actually a unicorn. The way you stick to your budget is by tracking your spending all month long—every expense, every income, every time. This is even easier if you get EveryDollar Plus, which syncs to your bank and streams transactions straight to your budget. 4. Save for big purchases. A big reason we tend to get stuck in the paycheck-to-paycheck cycle is because we’ll make a huge purchase on a whim. That means we say yes to a beach vacay with friends the month-of or buy a new laptop when we want an upgrade. These in-the-moment spending habits drain the month’s budget. It’s no good to get ahead with stuff—or even awesome experiences—if it means getting behind with your finances. We aren’t saying you have to say no to all big purchases. We’re saying you have to think ahead, plan ahead, and save ahead! Use the sinking fund method: Figure out how much an item or experience will cost and save up bit by bit over a period of time. With your EveryDollar budget, you can set up a fund in mere minutes. When you save up for big expenses, you can enjoy the stuff without the stress. 5. Rethink your wealth-building tools. Wealth-building tools may bring to mind a red box filled with hammers, screwdrivers and pliers. But those aren’t the tools you need to build wealth. To build wealth you need money—and good sense on how to use it. Your biggest wealth-building tool is your income. So spend some time thinking about your career. Do you feel like you’re in the right job? Is your salary appropriate for the work you do? Are you doing the right type of work for your skill set and talents? In his latest book, author and career expert Ken Coleman shares that 70% of Americans are disengaged at work. (2) Maybe your paycheck-to-paycheck living is rooted in the problem that you’re in a job you don’t love. When you feel like you’re working with purpose and meaning, it’ll change your entire attitude about the money you bring home. No matter your age, your background, or your income—you can get in control of your money. You need an emergency fund, a budget (that you stick with! ), a new pattern of saving up before you spend big, and a job that helps you build wealth and gives you a feeling of purpose. 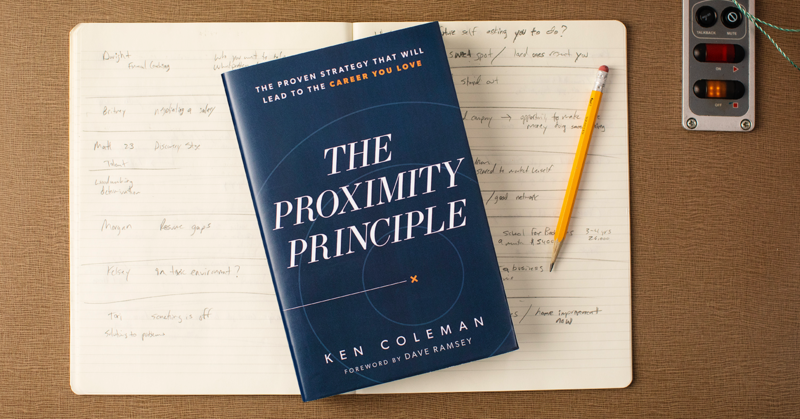 If this fifth point hits home, check out Ken Coleman’s new book today.